Keeton’s Casino, the predecessor to George’s Cafe, was named in honor of Dean W. Page Keeton. The story of the space is closely connected to the history of the law school buildings themselves. Following a period of rapidly increasing enrollment in the 1950s, the school found itself in need of more space to house its students and staff, which prompted the construction of an addition to Townes Hall. 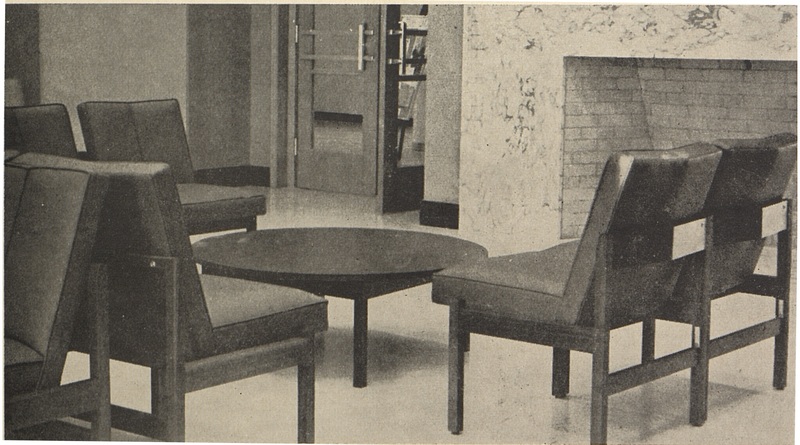 Among the amenities to be found in the new space was what Dean Keeton referred to as a “lounge area,” which he stated had “been a long time in coming” and hoped would be “used with restraint and in good taste.” Keeton’s Casino originally comprised was what is now the Sheffield Room and parts of the Tom C. Clark Lounge, and it included a snack bar, discussion room, and card room. Upon its opening in February 1964, Keeton’s Casino offered little in the way of food but provided sought-after space for students. 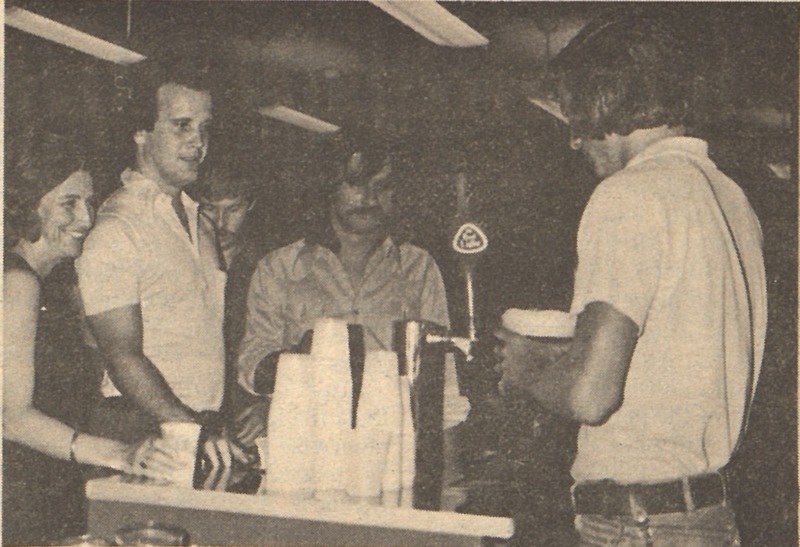 In his letter of the same year to the student body, Dean Keeton wrote, “The great majority of students are cooperating exceptionally well,” and he hoped that full service from the kitchen would soon be available. The letter was reproduced in the yearbook, the Peregrinus. The Casino’s “Code of Conduct” preserves behavioral expectations for students in the 1960s, noting that all games should be relegated to the card room, all food should be eaten in the snack bar area, and all cigarette butts should be placed in the provided ashtrays rather than on the floor. Keeton’s Casino was a hit and, as the food services expanded, became a place where students would dine, play cards, and otherwise enjoy a retreat from the classroom. By 1975, 1,650 students were enrolled at the Law School, and it became clear that another expansion was needed. After years of preparation, the Tarlton Law Library moved, opening space for new classrooms, offices, and another lounge for students. It wasn’t until this time that Keeton’s Casino moved to George's Cafe's present location in the basement of Townes Hall, where it stayed for nearly 20 years. The end of an era came in 2001 when, after extensive renovations to the basement, the area was no longer called Keeton's Casino. Subway began to operate the space and continued to do so for five years. George’s Cafe, as we know it now, opened in November 2006. For more on the law school’s history, including yearbooks and student newspapers, visit the Archives and Special Collections Department on the fourth floor of the Tarlton Law Library.